Here it is! My first Project Samples post! 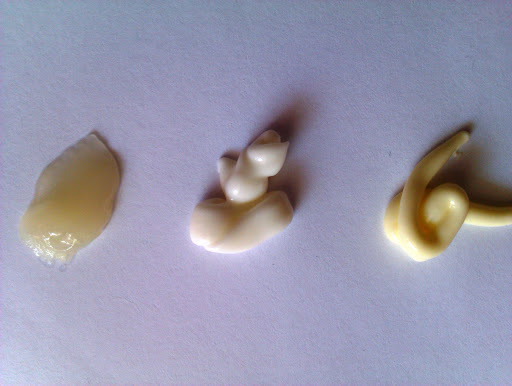 Today I am going to talk you about three different samples I’ve tried, one face scrub and two body creams. Time to start!!! 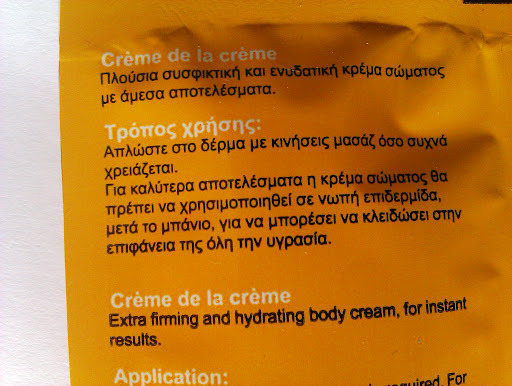 That’s Better is a Greek drugstore brand that promises to transform our face and body with the multitasking products empowered with Acai Berry. I love the products’ names and packages! Just take a look at their site and you’ll see what I mean! 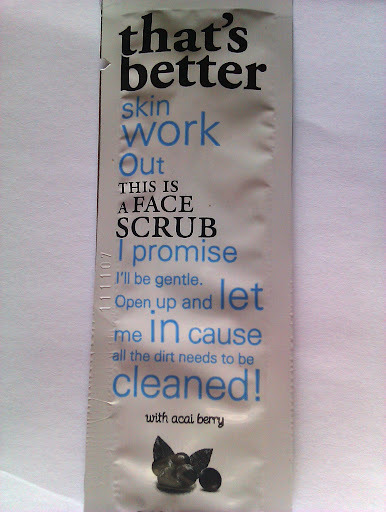 I’ve tried the Skin Work Out This is a Face Scrub, a powerful multivitamin skin polish in the form of a balm. It contains rice microgranules that help to gently exfoliate without being aggressive for my skin. It leaves my skin super clean, smooth and I can notice my skin seems fresher after I use it. It contains Acai Berry, which is one of the best antioxidant defense against free radicals, Vitamins B,C and E, that promote a brighter skin tone and Sweet Almond Oil. Easy to use: after cleansing, apply to damp skin in soft circular motions for about 1-2 minutes. Avoid the eye area. Then rinse with warm water. I have a few samples of this and I am using it two times per week since last month. My skin looks healthier and fresh. It’s a great product! I am convinced, I’m gonna buy this one!!! It comes in 75ml tube and costs 18.50€. 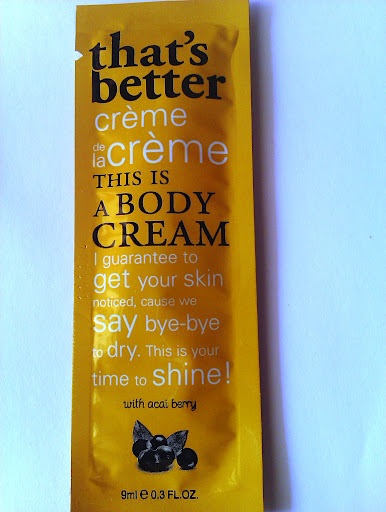 Another That’s Better product I’ve tried is the Cremè de la Cremè body cream. It is an extra firming and hydrating body cream, that it dense but gets quickly absorbed. Among the ingredients there are Avocado Oil and Shea Butter, that protect dry skin from dehydration by restoring its natural lipid barries, Vitamin E, for softer and smoother skin, and- of course- Acai Berry that boosts the skin’s elasticity and helps to reduce the formation of new stretch marks. I believe that Cremè de la Cremè is a good body cream to use during winter, during pregnancy(skin gets dry during these 9 amazing months) and/or if your skin is very dry. One thing I didn’t really like is its scent. I can’t define what it smells like, but it is very strong. I don’t like it at all, but every time I’ve used these body cream samples everyone was asking me what perfume I was wearing. They told me it smells very feminine and sensual and that it was good on me. But I still don’t like it. You can get the 150ml tube for 22.50€. As for me, I am not sure if I would buy it. I like that it leaves my skin hydrated, soft and healthy, but I can’t stand the scent. I hope they are gonna launch the same body cream with a different scent as well! 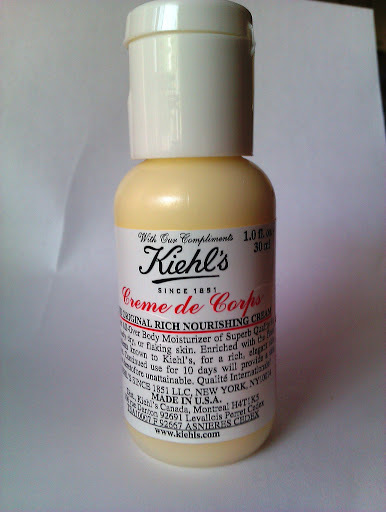 I have also tried for the very first time Kiehl’s Creme de Corps, the most famous body cream in the beauty world. 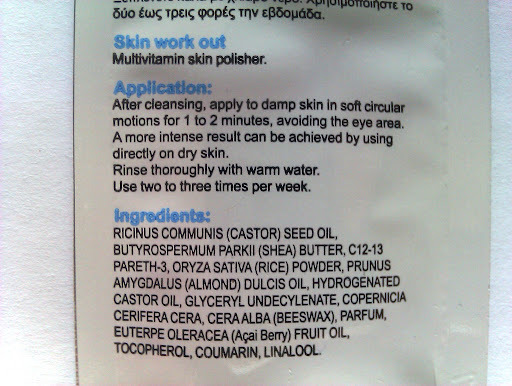 I’ve been given this sample when I bought my moisturizer. I like the packaging: a mini bottle(30ml) with a flip cap and not the usual sachet. Creme de Corps is a very rich cream that deeply moisturizes without being greasy. It is ideal for dry or flaking skin. It did a great job even now that I don’t have dry skin; it makes my skin soft and smooth instantly. I found it extremely moisturizing and I would prefer it for winter. Once applied it gets quickly absorbed but I would suggest you to wait a few minutes before getting dressed. 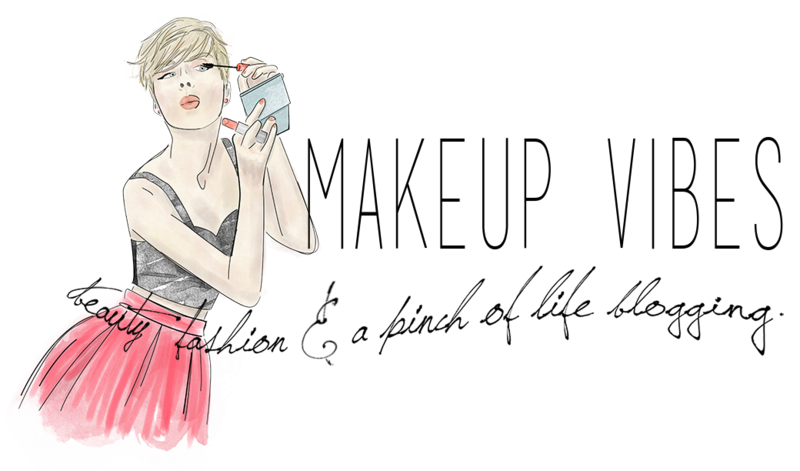 As for the scent, nothing more than a neutral perfume. For a few minutes it reminds me of a medicinal smell, but that doesn’t bother me at all (awkward?) as it doesn’t last long. Available in 75ml,125ml and 1L bottles for 10,13€, 18,84€ and 89,36€. I think that Cremè de la Cremè is an amazing dupe for Creme de Corps. The only thing that makes me prefer Kiehl’s body cream is the neutral scent. Have you tried any of these products? 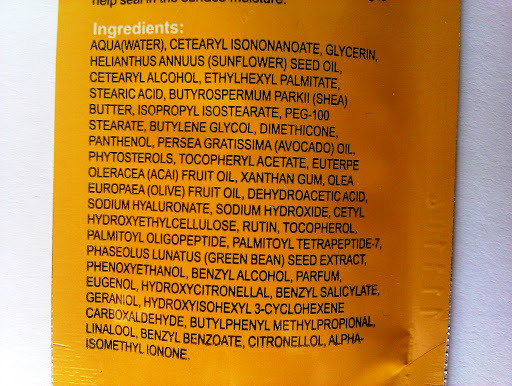 What are your favorite body creams and face scrubs? Disclaimer: These samples were given to me for free in stores or were sent to me by cosmetic companies. « My Oasap Order is Here!!! Great! I want to try all of them! 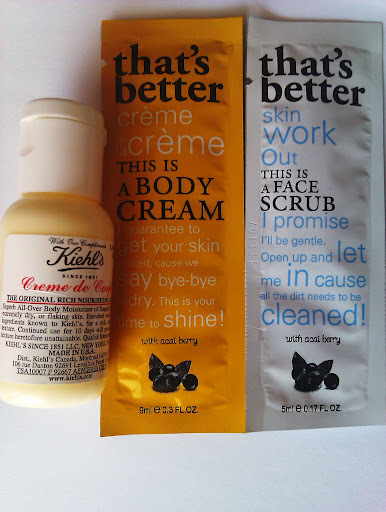 I like samples that last for more than one time so thumbs up for Kiehl's! Χαίρομαι πολύ που σου άρεσε! Συμφωνώ μαζί σου για τα δείγματα. Πολλές φορές αγοράζω προϊόν επειδή το δοκίμασα απο δείγμα και μου άρεσε. Θ αακολουθήσουν και άλλες παρόμοιες αναρτήσεις!Φιλάκια!